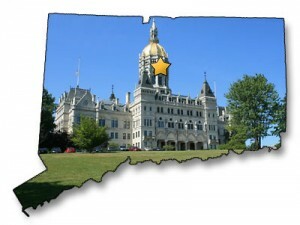 Synapse SEM is the premier Connecticut SEO Firm. Located just outside Hartford, and serving the entire Connecticut market, we approach the online marketing industry with a strong sense of local competition and branding. Our core service offering centers around online lead generation and customer acquisition. We achieve those goals through our unparalled expertise in SEO, Search Engine Marketing, and Social Media. In addition to being a top SEO firm in Connecticut, Synapse SEM has also been nationally recognized for our innovative optimization strategies. In fact, we recently developed and introduced a proprietary suite of statistical tools for the SEM industry earlier this year at the Search Engine Strategies Conference. These applications have positioned as us industry leaders and have given our clients a unique competitive advantage in the online space. Our revolutionary internet marketing strategies include leveraging robust data analysis, assessing statistical significance to allow for empowered decision making, developing and achieving segmented ROI goals, and utilizing attribution analysis. Thank you for learning more about Synapse SEM. We look forward to hearing more about your company, and the potential to work together and become your SEO firm in Connecticut. Synapse SEM is a full service online marketing firm in Connecticut that leverages robust data analysis and statistics to provide its clients with deeper insights and uncover otherwise overlooked opportunities. With core competencies in paid search advertising, search engine optimization, social media marketing, mobile advertising and conversion optimization, the company develops, implements, and executes online marketing strategies focused on maximizing its clients’ ROI. Leveraging proprietary data analysis techniques and experienced subject matter experts, the agency is committed to achieving unparalleled results and providing the highest quality of service to its clients. For more information on Synapse SEM, LLC, call 860-880-0065 or visit www.synapsesem.com.